All these situations will mean there is a change in your financial position, so there are points to consider before you make your final plans. There are many factors involved in getting a new mortgage, and the process may seem complex and time-consuming. Our expert mortgage advisers will support you at every step and do most of the work for you. Simply contact us and we can guide you through the mortgage process from start to finish. It is always good idea to understand what’s happening, so read on to find out more about what is involved and how to help ensure you’ll find a mortgage that is right for you. Mortgage deals are constantly being launched and withdrawn, so your current lender may not be able to provide the best deal for you. Your financial circumstances may well have changed since you took out your last mortgage. 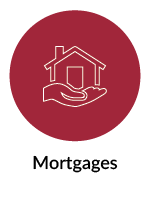 Anstee & Co, as an independent mortgage broker, gives you access to a much broader range of mortgages, including specialist mortgages designed for if your circumstances are complex. Also if you go direct and don’t get your mortgage approved, you may waste valuable time contacting another lenders and miss out on the property you’ve been looking for. Moving home often ties in with a changing life event. For example, if you’ve recently married and had a child, but don’t have life assurance, you might want to protect your loved ones. Alternatively, if you’ve changed your job since you last reviewed your insurances, your new employment package may not provide the cover you need. It’s important to remember why you’re making these changes and to protect the people that matter most to you. Your Anstee & Co mortgage adviser will review your existing arrangements to help ensure you have appropriate cover in place to protect you, your family and property. We will then design a solution tailored to your needs. Thinking strategically about your future can save unnecessary costs. Your mortgage adviser will guide you through the features you may need in your mortgage to meet your long term goals, such as low early repayment charges, repayment holidays or the ability to make lump sum repayments..
Anstee & Co.’s service is personalised. We know that, by asking you the right questions, we will be able to design a mortgage solution that will avoid unnecessary costs and give you the certainty or flexibility you require. 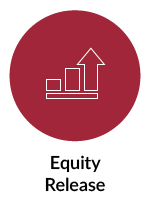 Early Repayment Charges (ERCs) are a penalty for leaving a mortgage before it comes to the end of your existing deal. Your existing lender will be able to advise you on any ERCs that apply. Your mortgage adviser will take this cost into account when designing a solution. Average cost 1% to 5% of mortgage. The costs of organising your mortgage. This could be a flat fee or a percentage. Your lender will be able to advise you of the fees that apply to your mortgage. If the mortgage you are taking out is a sizable percentage of the property’s value, usually over 90%, the lenders may add a charge to insure themselves in case you default. Average cost: 1.5% of the mortgage. A one-off application fee for the mortgage, “booking” or reserving the capital while processing your request. The above is a guide only. Always obtain a written quote. 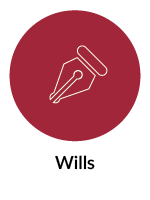 The cost of instructing a solicitor or conveyancer for preparing the deeds, searches and carrying out the conveyancing process.